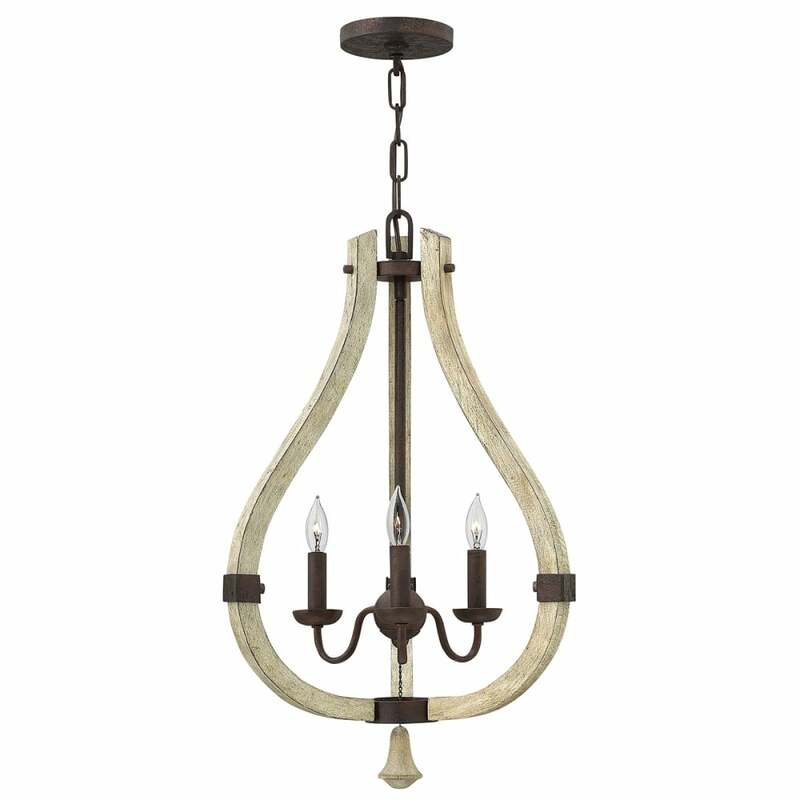 A stunning curved caged design in sweeping solid wood brings elegance and a raw, rustic feel to this historically inspired chandelier. A simple frame finished in Iron Rust houses traditional-style candle sconces and shades, whilst decorative pear chain detailing hangs beneath. Overall an incredible blending of wood meets metal. Select from 3 to 6 light versions. Matching wall light and alternative ceiling pendant styles available. View All Hinkley Lighting for more information on Middlefield or view the complete Middlefield Collection. - Supplied with 2540mm of chain.